Jackie O is an easy going, and easy to care for girl. 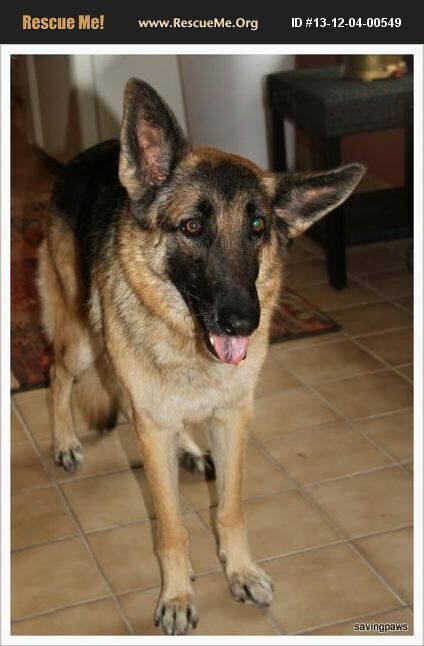 She is perfect for the family looking for a dog low key in energy. She has had some abuse in the past, and is learning to trust again. She is very loving once she gets to know you. She has been recovering from an ear infection nicely. She will be ready for her forever family soon. If you would like to meet Jackie O, please call us for a meet and greet. If you would like to meet Jackie O just contact us at gsdadoption@savingpawsrecueaz.com or #480-737-6089 for an appointment.